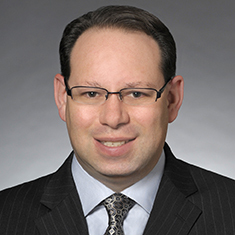 Daniel Perlin serves as Special Counsel in Katten's Real Estate practice. He has more than 20 years of transactional experience successfully managing a wide variety of commercial matters, including as an in-house senior counsel for an international mega drug retailer. Daniel has particular, extensive experience in complex real estate transactions and land use, including zoning, condemnation and municipal law. His current real estate practice emphasizes leasing, development, construction, acquisitions and dispositions, mergers and acquisitions, sale leasebacks, and restructuring, and has involved assets such as shopping centers, high-rises, free-standing retail stores, warehouses, distribution centers, offices, and on-site/specialty pharmacies throughout the United States. An accomplished negotiator, Daniel is adept at dispute resolution, problem solving and risk identification/mitigation.